A serious discourse concerning a well-grounded assurance. What are the top Puritan works that every Christian should read? Iain Murray answers "Beginners should start with Brooks, Thomas Watson, or John Flavel. 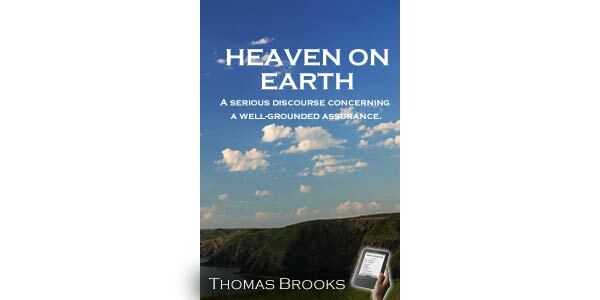 ... Make sure to read ...Heaven on Earth by Thomas Brooks (on assurance)..."
"The greatest thing that we can desire—next to the glory of God—is our own salvation; and the sweetest thing we can desire, is the assurance of our salvation. In this life we cannot get higher, than to be assured of that which in the next life is to be enjoyed. All saints shall enjoy a heaven when they leave this earth; some saints enjoy a heaven while they are here on earth. 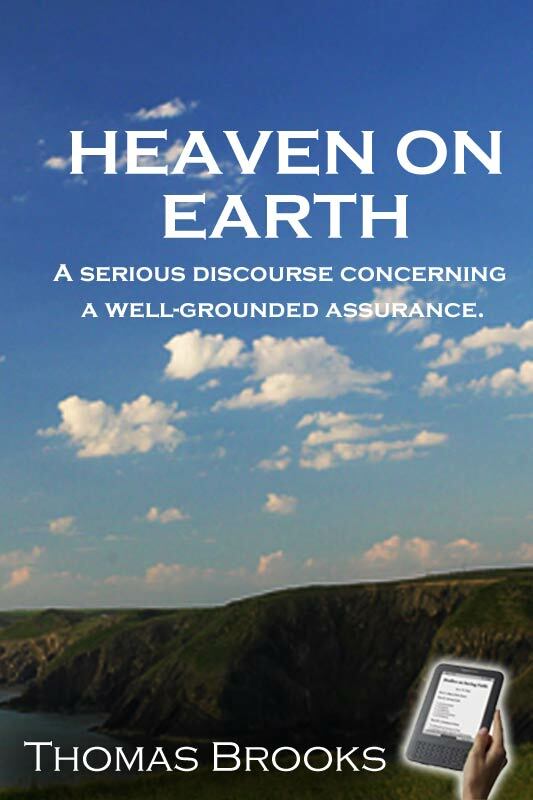 That saints might enjoy two heavens, is the project of this book." Joseph Caryl. A man may be God's, and yet not know it; his estate may be good, and yet he not see it, Eph 1:13; 1 John 5:13; Gal 4:6. It is one thing to be an heir, and another thing to know that one is an heir. The child in the womb or in the arms, may be an heir to a crown, and yet understands it not. But more of these things you will find in the following discourse—to which I refer you. Containing several weighty propositions concerning assurance. I. God denies assurance for a time to his dearest and choicest ones, and that upon many considerable grounds. IV. That God may deny assurance long, and yet give it in to his children at last, after patient waiting. V. That those choice souls who have assurance may lose it, they may forfeit it. VI. That the certainty and infallibility of a Christian's assurance cannot be made known to any but his own heart. Chapter 5 Showing the several ways and means of gaining a well-grounded assurance. (1.) What knowledge that is, which accompanies salvation. (2.) What faith that is, which accompanies salvation. (3.) What repentance that is, which accompanies salvation. (4.) What obedience that is, which accompanies salvation. (5.) What love that is, which accompanies salvation. (6.) What prayer that is, which accompanies salvation. (7.) What perseverance that is, which accompanies salvation. Showing the difference between a true and a counterfeit assurance; between sound assurance and presumption.